VJ Books Presents Sebastian Barry! 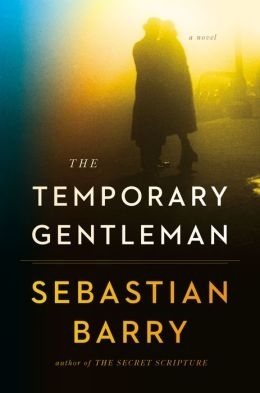 Sebastian Barry was born on July 5, 1944 in Dublin, Ireland. He attended Trinity College, Dublin, where he read English and Latin. He is an Irish playwright, novelist and poet. His academic posts have included Honorary Fellow in Writing at the University of Iowa (1984), Villanova University (2006) and Writer Fellow at Trinity College, Dublin (1995_1996). Barry started his literary career with the novel Macker's Garden in 1982. This was followed by several books of poetry and a further novel The Engine of Owl-Light in 1987 before his career as a playwright began with his first play produced in the Abbey theatre, Boss Grady's Boys in 1988. His novel A Long Long Way was shortlisted for the 2005 Man Booker Prize. Barry lives in County Wicklow with his wife, actress Alison Deegan, and their three children. Author Signed Hardcover Book 2008 NY: Viking First edition, first printing, fine in a fine dust jacket, signed by the author. Each dust jacket is protected in an acid-free archival quality acetate cover. Author Signed Hardcover Book May 2014 NY: Viking First edition, first printing, mint, new/unread in a flawless dust jacket, signed by author. Each dust jacket is protected in an acid-free archival quality acetate cover.